I was lucky enough to spend 2 nights on Conrad Maldives at the weekend (1st August). I can’t say that this was a Fam Trip as actually it was mainly a bit of R and R and what better place to spend it on than one of the best resorts in the Maldives. Conrad Maldives Rangali Island is truly barefoot luxury! There is just something really quite special about this resort that makes it one of my all-time favorite resorts in the Maldives. Whilst it doesn’t have the best rooms if we are comparing to luxury resorts such as Jumeriah Dhevanafushi, Velaa Private Island, Huvafenfushi, One and Only and W Maldives, it just has this amazing charm and atmosphere and without doubt one of the best resort teams of employees I have ever encountered. Many of the staff have been on the resort for years and this shows through the effortless service. Everything is seamless and genuine. There really is a passion behind the staff and this creates a wonderful welcoming relaxed environment which I believe flows over to the guests. Everyone talks to everyone. It doesn’t matter the nationality or wealth, everyone just feels at ease with everyone. Whereas in some of the resorts there really is a feeling of status, where guests don’t talk to others. This is of course their right, their choice not to, but personally I don’t like resorts with this kind of feeling. Sometimes it can show in the service, with a difference in the level service given to clients depending on who they are. I have never in all the years I have been in the Maldives (over 13 years) and on any visit to Conrad Maldives, felt any different. The high level of service is the same throughout. The resort is stunning and I love the sand floors in the public areas, including the reception, bar and Atoll Market Restaurant. The black sand in the Wine bar is particularly cooling on the feet. Of course cleanliness is important and you will always see staff sweeping and racking the sand. The Food and Beverage Team are exceptional and without doubt probably the best team I have yet to encounter in the Maldives thus far and over the years I have visited over 70 resorts. Theirs a natural flow and great team work. Guests are not kept waiting, delivery of food and drinks is extremely fast and the standard of cuisine and the vast choice is brilliant. Little details particular in Rangali bar in the condiments given is great, small bottles of mayonnaise, mustard, tobacco sauce and olive oil and balsamic vinegar (I’ve not seen these before) and a selection of breads is such a nice touch. The Atoll Market (the main restaurant) serves the best breakfast I have ever experienced anywhere I have travelled. The vast choice is unbelievable. There is so much choice of pastries including sweet and savory ones and they didn’t remain the same on day two. They have the juice counter where the Chef will prepare fresh fruit /vegetable smoothies for you. The Asian corner, the Egg counter, chilled items, cereals and yoghurts. Everything you think you can have for breakfast, I’m sure you will find on this buffet. They say that ‘breakfast is the most important meal of the day’ – believe me you won’t go hungry here! Dinner in the Atoll Market is just has brilliant as the breakfast, again with different stations, which so much choice. The Asian corner, Indian corner, the Italian Corner, the Deli, Chilled Seafood, Japanese and the Grill Counter. The choice and standard of cuisine is excellent and will suit all tastes. The staff are friendly and genuinely interested in what you have to say and they are great at promoting the other restaurants which is not only offering a service to the guests but generating revenue for the resort. They are highly trained in what they know and this is very clear. The beach and public areas are kept pristine and early morning you can see a big team of staff out on the beach, racking the sand and making sure it looks lovely for when the guests get up. I was lucky enough to enjoy a Spa treatment in the Spa Retreat which was wonderful. Again compared to newer resorts the Spa treatment rooms are nothing special, but it is all about the service, which was excellent. It would have been nice however to have a more comfortable relaxation area after the treatment, rather than the current area which is also a boutique selling all the Spa products. I nice over water decking with sunbeds and Jacuzzi would have been nice. Dinner in the Sunset Grill was delicious. A nice setting over the lagoon, great staff and delicious cuisine. I really love Conrad Maldives and whilst there are some little improvements that can be made to keep up with their competitors (little things like amenities in the room) overall I would not want this resort to change too much. I would hate to see it become too modern and glitzy as to me it is perfect the way it is. Conrad Maldives what an incredible resort, which without doubt has a lot to do with the amazing team of employees you have working for you. Thanks for a wonderful experience. I will be back again, hopefully soon! The two sister islands of Angsana Ihuru and Banyan Tree Vabbinfaru are conveniently located only 25 minutes by speedboat from the airport. Both islands are small, picturesque with a beautiful beach and stunning lagoon. Angsana Ihuru boasts one of the best house reef in the Maldives and Banyan Tree Vabbinfaru has its own Marine Centre and Turtle Conservation program. Angsana Ihuru décor is vibrant colours, Red, Orange, Green and Yellow which is a freshening change from the earth tones that many islands use. The resort features Beach Front Villas and Beach Front Villas with Jet-pools. Whilst the rooms are quite compact they do have all the necessary facilities and amenities a holiday maker would require and whilst space would be tight, the rooms can accommodate up to 4 people so ideal for 2 adults plus 2 children. The rooms face out onto the beach, with typical Maldivian swings outside and semi open-air bathrooms. The Beach Front Jet-pool Villas have the added attraction of a jet-pool (Jacuzzi) in the bathroom open-air garden area. Facilities in the resort include: dive school, non-motorized water sports and small gym, the Angsana Signature Spa, the without doubt one of the main attractions is the amazing house reef. Whilst the resort does not offer a kids club, the resort does welcome children. In contrast Banyan Tree Vabbinfaru is much more rustic, and with the use of natural resources such as bamboo and wood, the resort really has a very natural feeling and blends well with the lush vegetation and its natural surroundings. The rooms are round in shape, giving wonderful views of the beach and ocean. Facilities include the award winning Banyan Tree Spa, dive school, non-motorized sports, small gym and the Marine Centre. For guests staying at either of these resorts, they have the advantage of being able to visit the other island as a regularly ferry boat operates between the tour resorts, so guests can have two experiences in one. These two islands are remarkable and two absolute Gems in the Indian Ocean and without doubt guests will have an amazing truly Maldivian experience. Our journey to Kandolhu Island Resort in Ari Atoll as by seaplane transfers to the nearby resort of Constance Halaveli which took approximately 25 minutes. Kandolhu Island does not have a seaplane platform in its lagoon so you will normally be transferred to a close by resort (transfer then by speedboat, approximately 15 minutes). Whilst this might seem a little inconvenient, it is actually much better for such as small resort as there is no disturbance early morning and throughout the day of seaplanes landing and taking off, so the peace and tranquility is retained. The resort is one of the ‘small luxury hotels of the world’ and rightly so, it is absolutely stunning. We were greeted on arrival by the General Manager – Marc who is French Canadian and is partner Laura who is the Front Office Manager and from the UK. They are a terrific couple, very friendly and welcoming and clearly love the resort and this is reflected in the great team they have on the island. The resort like most islands is surrounded by a stunning soft white sandy beach but what’s more Kandolhu boosts an amazing house reef, which is definitely one of the highlights of the resort and guided snorkelling trips are offered by the water sports center. The island has lush vegetation, lots of trees and bushes but very few flowers as the owners wanted to keep it quite rustic and natural. Total number of rooms is 30 and made up of Jacuzzi Beach Villas, Pool Villas, Duplex Pool Villa (this was the category I stayed in and loved it), Ocean Villas and Ocean Pool Villas. The architect is a local Maldivian expert who has designed the ceilings of the villas to look like an upside down dhoni (traditional sailing boat) which give the villas such high ceilings making them feel very spacious. 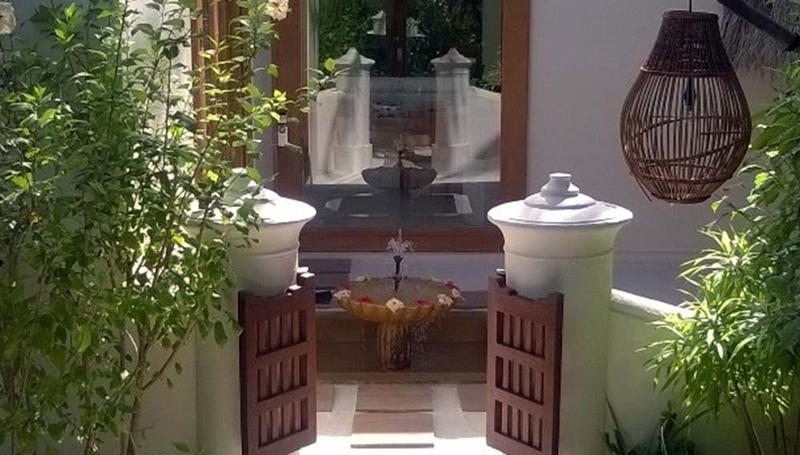 The villas are all spacious and modern, with beautiful semi open-air bathrooms in the beach villas. The Pool Villas are very private with huge entrance doors at the back of the Villa and direct access to the beach in front of the pool at the front of the villa (with vegetation to still give privacy). The Duplex Pool Villa that I stayed in was amazing. The downstairs was a living area (but could accommodate 2 children) with the main bathroom on the ground floor which comprised of both an indoor and outdoor shower and a huge bath tub and plenty of wardrobe space. Upstairs was the master bedroom with a balcony and spectacular sea view. The en-suite bathroom comprised of a toilet and third shower. The outdoor terrace on the ground floor was spacious with table and chairs as well as a large couch. The plunge pool is large and very refreshing and all Villa’s face out to sea and only steps away from the beach. The Ocean Villas and Ocean Pool Villas offer spectacular ocean views and direct access to the lagoon and easy reach to the house reef. 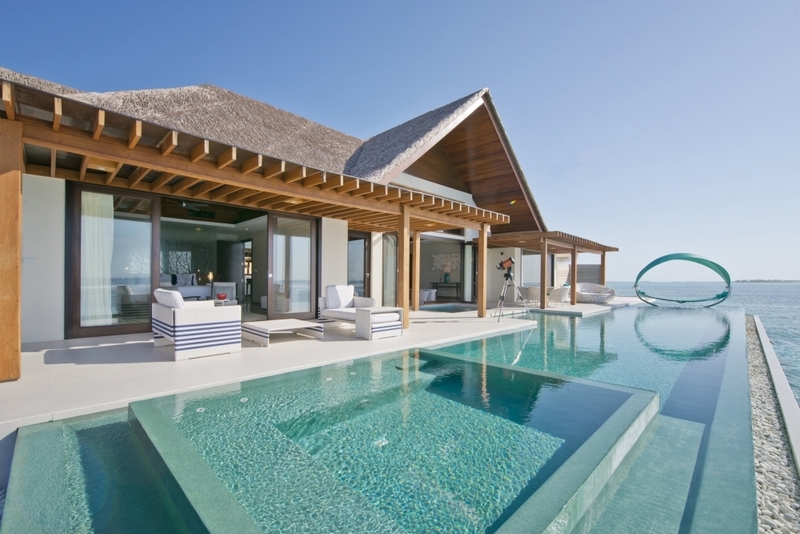 The difference between the rooms is the pool and the amazing bathrooms that the Ocean Pool Villas feature. Floor to ceiling class and probably the closest you’ll come to an open air bathroom in a Water Villa as the sliding doors completely open up. However fear not, there are blinds should you wish to have some privacy. These have got to be the most unusual bathrooms I have yet to see in the Maldives and probably one of the most amazing. The Villa’s are well maintained and the room boys do an excellent job. At turn-down a good night treat is left for the guests, in the form of a different small sweet desert. Delicious! Talking of delicious, this leads me on the restaurants and the cuisine. Despite only having 30 rooms Kandolhu boasts 4 restaurants and the food is delicious and plenty of choice, not to mention the wonderful service from the food and beverage team. The Market is the all-day dining restaurant, where breakfast, lunch and dinner is served. All meals are al a carte, with the exception of a small buffet at breakfast for continental dishes with hot dishes offered al a carte. Olive is the Italian, Mediterranean restaurant and I dined here on my second night and it was superb. As well as the menu, there are specials of the day. This gives more choice for those guests staying for longer. The Sea Grill Restaurant is really beautifully designed. The walls are recycled coral and tables have been arranged to allow privacy and a romantic feel. Choose from a great selection of freshly caught fish, sizzling meat or Tandoor specialties. I dined here on my first night with Marc and Laura and the food was incredible. Banzai which is very popular and the only restaurant that you need to pre book is the Teppankayi Restaurant where you can enjoy flavorsome sushi, sashimi, meat and seafood. The Varu Spa offers a variety of treatments, from massages, facials, skin care treatments by Voya and features 4 treatment rooms, and wet area for men and women. The therapists are from Thailand and Bali and are very professional, friendly and welcoming. Kandolhu offers Bed & Breakfast, A la carte (Half Board, with dining in any one of the four restaurants) or their Ultimate All-inclusive package which not only includes A la carte Breakfast, Lunch and Dinner, all beverages including a full stocked wine chiller in your villa stocking 30 handpicked bottles of wine! 10% off Varu Spa treatments, complimentary snorkeling equipment and water sports, plus one private snorkeling tour around Kandolhu reef and one Sunset cruise with Champagne and Canapés. 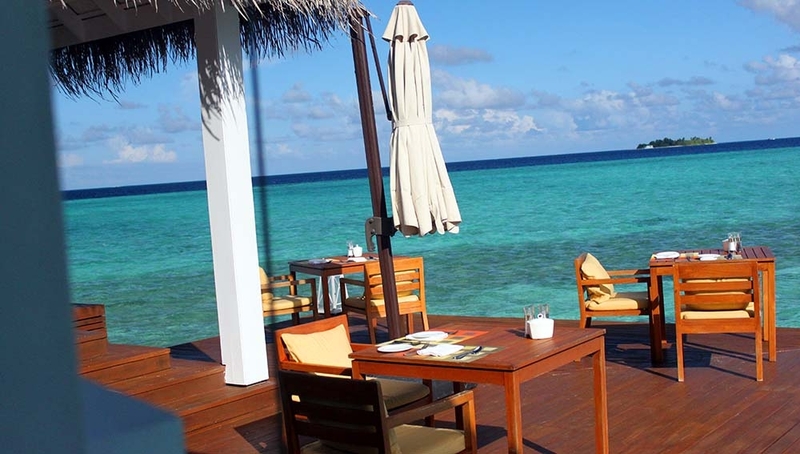 Overall Kandolhu is a fabulous boutique luxury resort, perfect for couples wanting a romantic experience. Small, intermit, fabulous rooms, delicious food, great Management team and wonderful staff taking care of you. 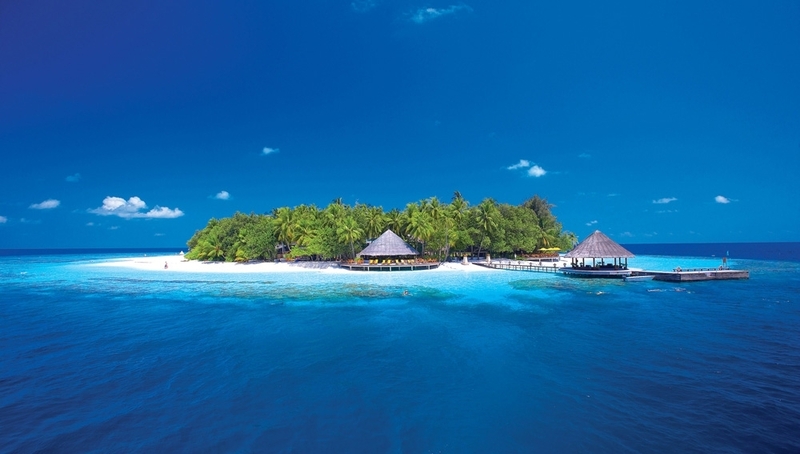 Kandolhu is definitely the ‘Maldives best kept secret’ and exceptional value for money for a luxury boutique resort. Thank you to Marc, Laura and all your wonderful team for an amazing experience. I can’t wait to return again! Maafushivaru is a small charming, natural, ‘no news, no shoes’ kind of resort. The type of resort that you expect when you think of this tropical destination. From the moment I stepped on the resort, I felt at home! The Manager and all the staff really make you feel very welcome. The hospitality is genuine and sincere, it is very tranquil with no stress at all. The Atmosphere is very relaxed and friendly and all the guests (British, German, Italian, Chinese, Korean are just a few of the nationalities I encountered) all seem at ease with each other and greet each other warmly. Everywhere you walk (apart from the Villa’s, the Spa and the 135 degrees East Restaurant) is sand floors. The reception, bars, main restaurant and lounge area are all sand floors. The Beach Villas are spacious with semi open-air bathrooms and small private terrace. The décor is white and fresh looking and you have all the modern amenities you need for a comfortable stay (but without all the flash gadgets and technology the more luxurious newer resorts have). 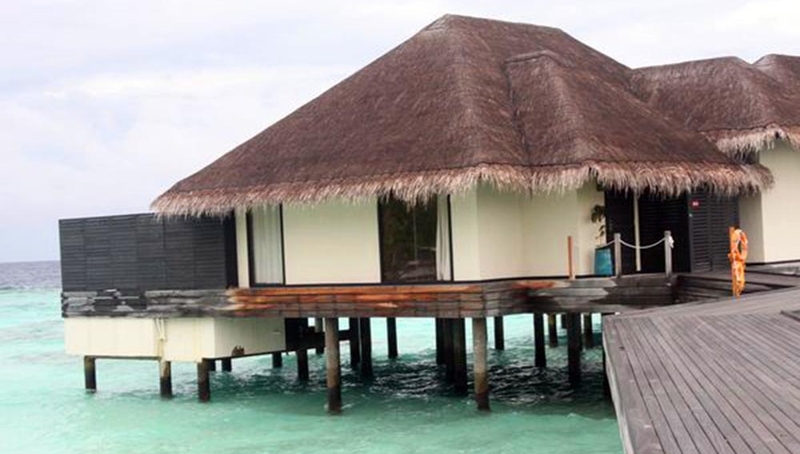 The Water Villas have similar décor and furnishings, with the exception that the bathroom in enclosed and they are fitted with a bath tube as well as a shower. You can open the windows by the tube to give you a feeling of open air. All have small private decking with sunbeds and direct access to the fabulous lagoon. The island is surrounded by the white stunning beach. There is a sea wall that protects part of the island which whilst it is not pretty to look at, at low tied it is there to protect the island and is only surrounding part of the island. The house reef is stunning with table top corals and an abundance of sea life. You can swim out to the outer reef where the water will become quite deep quickly. The resort also has its own Marine Biologist who joins guests on snorkelling excursions. The Spa offers a variety of different treatments, including body massages, facials and herbal baths. The therapist are excellent and the price are reasonable as well. The main restaurant is open for Breakfast, Lunch and Dinner serving buffet style meals with a great variety of choice. The waiters are friendly and efficient and quickly remember your names and what your preferences in terms of drinks are. My waiter was Shah and after lunch on day one, he knew how I liked by tea and I didn’t even have to ask for it at dinner. He brought it automatically for me. I ate with the Manager Ronald in the 135 degrees East Restaurant, which is the Teppanyaki Restaurant. It was amazing. The Chef Robert was not only a great Chef but he was entertaining as well. I would highly recommend guests try this at least once during their stay. It’s not included in the All-inclusive meal plan but it is well worth treating yourself at least once. A stay on Maafushivaru would not be complete without a visit to Lonubo ‘Maafushivaru’s little secret’ and private island. It is absolutely stunning! This private picnic island is open to all Maafushivaru guests to visit daily for relaxing or snorkelling. Guests can book private picnics on the island or private dinners as well. Hire this small piece of paradise for a few hours or stay overnight in one of the two private villas. Have you own ‘Robinson Crusoe’ experience! Overall Maafushivaru is absolutely stunning and a real piece of paradise. Part of me wishes there were more small islands like this in the Maldives but then again, maybe Maafushivaru wouldn’t feel so special if there were. The resort offers fabulous service, great staff, fantastic location, amazing snorkelling and really is a perfect little gem in the Indian Ocean. Thank you Ronald (General Manager) and all your wonderful team for an amazing stay. I won’t leave it too long for my next visit! 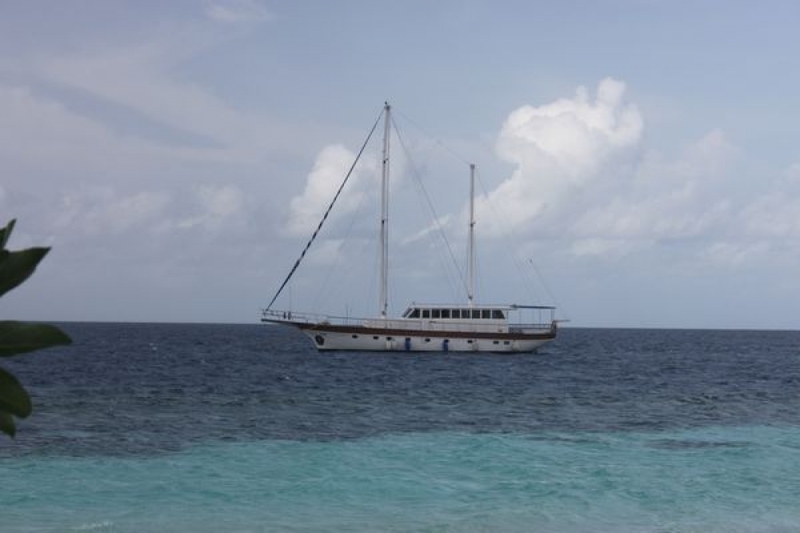 Niyama Maldives is located in Dhaalu Atoll and it took us about 50 minutes by seaplane to travel to the resort. Landing in the resorts lagoon was amazing and gave us the opportunity to view the Sub Six under water Restaurant/Bar as we came into land. Niyama is split into two islands, ‘Play’ and ‘Chill’. ‘Play’ is more active, home to the Dive School and Water Sports, Children’s Club, Tennis courts as well as home to the unique ‘Nest’ Restaurant which is perched in the canopy of age-old Banyan trees. An open air restaurant housed in intricate bamboo architecture and thatched mushroom huts. This was still under construction when we visited but opened in June 2015. We hope to visit again soon to experience it for ourselves! ‘Chill’ is more relaxed. Home to the stunning ‘Lime’ Spa, ‘Tribal’ Restaurant which is African inspired and gives you the feeling of being in the heart of a jungle. Enjoy a fusion of African, South and Central American cuisine. The islands are both stunning and well maintained and the atmosphere is very relaxed and welcoming. The staff are all friendly and genuine and seem really happy to see you. The rooms are spacious, with modern interiors, semi open air bathrooms and feature the most amazing mini bar I have ever seen in a resort. It is a full size fridge stocked with plenty of drinks, including ice-cream which is complimentary and there is even a popcorn machine so you can enjoy free popcorn whilst you watch a movie. The Beach Studio’s with Pool boast a decent size plunge pool, where you can cool off. The Water Studios and Deluxe Water Studios offering amazing views of the lagoon with direct access into warm crystal clear water. Spacious and private, perfect for couples. The choice of dining options is one of the best in the Maldives, with some very unique concepts such as ‘The Tribe’ with is African influence, ‘Nest’ which is an open air restaurant 8 meters in the air. ‘Sub Six’ on the other hand is the underwater playground, submerged 6 meters below the water line. The interior is modern and funky and you can enjoy spectacular aquatic views. The Edge offers sophisticated fine dining over the water, whilst Blu and Epicure offer all day dining options. Another unique concept is the ‘Deli’, ideal if you just fancy a light snack on the go. Order your favorite panini or ciabatta and enjoy it on the comfort of your private decking. All in all, Niyama Maldives ‘Natures Playground’ offers something for everyone. Whether you are a honeymoon couple, wanting to relax and escape from it all, or a family wanting to enjoy a great family vacation, Niyama Maldives is a great choice and definitely one of Koamas Luxury Escapes preferred partners. Thank you Niyama for a wonderful experience. Our journey was a comfortable seaplane flight with Maldivian Airways first to the sister island of Cocoa in South Ari Atoll which took just over 5 minutes. We were picking up a couple of guests who had first spent a few nights in Cocoa Island and were then moving to Maalifushi by Como. These are sister islands and both very different in terms of size and design but I think would make a nice experience for honeymoon couples. Where possible they try to provide a direct pick up or drop off between the two resorts but this depends on the seaplane schedule which can only be confirmed the evening before but certainly makes it very convenient for guests. We then flew further south to the relatively untouched Thaa Atoll which is currently home to only one tourist resort Maalifushi by Como. The Atoll is stunning, with many uninhabited islands dotted around. Just next to Maalifushi is a chain of about 5 or 6 uninhabited islands. The seaplane lands a short 5 minute speedboat ride from the resort, near one of the uninhabited islands, keeping the disturbance from the seaplane noise down, so retaining the tranquility of this stunning resort. We were greeted on arrival by the GM – Andrew and his team and escorted to reception. First impressions on arrival were ‘WOW’ a stunning beach and lagoon like many other resorts in the Maldives but the lush vegetation was something that I wasn’t quite expecting for a relatively new resort. Usually it takes a couple of years for this kind of vegetation to grow after construction but during the development of the resort, cutting down of trees, plants and bushes was kept to a minimum and where possible the treats were not removed, the rooms and facilities were built around them. With all the lush vegetation, it really gave me a feel of Soneva Fushi Resort when we headed to our Villa. The resort is quite small with 65 villas in total, over land and sea and perfect for couples wanting that private honeymoon escape as well as for families who want to be accommodated together in one of their very spacious 2, 3 and 4 bedroom Villas. We stayed in a Water Suite which is the entry level room category for the over water villas. The exterior of the suites are quite unique to any I have seen in the Maldives. They all have their own private entrance with large wooden ‘barn style’ gates which lead into a small outdoor private area with bench and space to leave your snorkel gear etc. They allow for more privacy as you not entering directly into the Villa for others to see. Natural timber has been used as a fencing around, again for extra privacy and the wooden exterior of the majority of the villa (with the exception of the natural fencing and doors) have been white washed. On entering our suite there is was a large spacious living area, with dining table, built in daybed/couch, coffee table and side board housing the mini bar and where the large LCD TV is accommodated. Being two ladies travelling together we had twin four poster beds which were very comfortable and surrounded with mosquito nets. The wooden furniture throughout the villas and facilities in the resort is white washed effect, which is so much nicer than the dark colour used in many resorts. Not only does it look more refreshing but also more hard-waring as scratches and scuffs do not show easily. The dressing area of the Villa is excellent and I have to say I was very impressed with this as so often you go to resorts / hotels and no attention has to been paid to where a lady would like to get ready, especially when it comes to doing your hair. So often there is no socket near the mirror for the hairdryer or straighteners and you are expected to stand. Maalifushi designer has really considered this. There is a big vanity table, which draws (hairdryer and socket) and large mirror with excellent lighting and comfortable chair and this is located right in front of a very large walk in wardrobe (which has ample storage space) as well as a full length mirror (again something often forgotten in resorts/hotels). The attention to detail here is excellent. Plenty of electrical sockets (conveniently located and you don’t have to keep unplugging things to charge up your phone or laptop). An extra touch would have been an iron and ironing board in the villa as standard. We did request one and it came within 10 minutes. The bathroom was extremely spacious with two vanity tables (his and hers), in door shower as well as a nice deep bath (not too deep and big that takes a ridiculous length of time to fill) and for those who like to shower al fresco there is also an outdoor shower on the decking (again screen with natural timber for the extra privacy). All Villa’s with the exception of the Garden rooms all have a very good size private plunge pool. The decking is spacious with space for two sun loungers, outdoor table and chairs and a lovely gazebo with large double day bed. Steps lead down directly into the lagoon from you decking and only a short swim away you reach the stunning house reef. We had the perfect weather conditions and honestly I felt like it was February as the sea was so calm and crystal clear. An early morning swim or snorkel is the perfect way to start the day. Our Water Suite was sunrise side so to wake up and take an early morning swim in the private plunge pool as the sun is rising is the only way to start the day. Followed by a morning snorkel. Initially the lagoon is fairly shallow and you can only see sand but as you swim towards the main jetty you start to see a variety of colourful fish and some coral. Before you know it you are in the deep and the variety of fish is unbelievable. We were lucky enough on the first morning to see three turtles and large black tip reef shark as well as so many colourful fish. There is a resident octopus off the jetty but he must have been in hiding that morning. The first evening we were lucky enough to do the ‘Dolphin’ Cruise and we saw over 100 dolphins, bottle noise and spinners. It was amazing. The dhoni used for the excursion has got to be one of the best I’ve experience, with comfortable seating (little booths with tables) as well as a soft cushioned roof top. Drinks and canapés were served by the crew and the service was excellent. 95USD plus taxes per person is exception value for money for this trip. We were out for a good couple of hours and sailed back as the sun was setting. Dinner the first night was in the main restaurant Madi and all meals are Al a carte, with the exception of breakfast which offers a small selection of cold items on the buffet as well as al a carte hot plates. Dinner was Maldivian night and throughout the meal there was a local Bodu Beru band playing (from a nearby island) which made a nice change as usually the bands play after dinner. Having experienced many Maldivian nights in the resorts, I wasn’t expecting anything different but I was pleasantly surprised as usually it is always buffet but not at Maalifushi. The set menu came out, first local soup, followed by a platter of local dishes. The presentation was superb. A large coconut bowel full of uncooked rise as decoration and small coconut serving bowls which contained all the different foods: fish curry, chicken curry, rice etc. The presentation was absolutely beautiful and the first time I had experienced it like this in the Maldives, so hat’s off to the Chef and his team, this really was a very nice, unique touch and the food was delicious. The peace and tranquility in the resort is wonderful. Even sleeping in the Water Suite was so peaceful. Usually I feel a slight rocking of the Villa’s or hear the noise from the sea but honestly I didn’t feel or hear any of that. They do have golf buggies on the resort but they do not have them going up and down the jetties and the reason behind this is because of the noise they can make and it really does make a difference. Day 2 we had a spa treatment booked, the Shambhala signature wellness massage which I have to say was one of the best massages I have ever had. Usually I request a very light massage but my therapist Kwan (from Thailand) recommended to start of medium pressure and then to let her know if it was too hard. It wasn’t and she continued throughout giving medium pressure. Not only was it a body massage but some Thai massage technics were used in the treatment as well as having a warm towel places behind my neck at the very end which was a really lovely feeling. The atmosphere, the location, the service and overall experience was wonderful and price wise comparing to other spas in the Maldives it was great value and well worth it. At 4 pm we joined the ‘blue lagoon’ snorkeling trip which was amazing. We headed out on the luxury yacht which is used for Big Game fishing and Captained by ‘Gunner’ who is American and accompanied by his crew and the resident Marine Biologist. Perfect weather conditions and the ‘Blue Lagoon’ as it’s called certainly lived up to its name. The bluest of lagoons, only a short distance from the resort. Not only do you get to see a variety of marine life but the coral is truly spectacular. Great snorkelling, followed by a nice glass of champagne and canapés as the sunset sets behind you. We immediately went to the Managers cocktail which was held for the first time on a small uninhabited island which is connected to the resorts jetty. The team did a great job with the set up and drinks were flowing with even more delicious canapés and it was a wonderful way to meet some of the key Management team and the GM and to learn a little bit about the history of Maalifushi and the Maldives from the GM Andrew during his short speech. Dinner on our second and final night was hosted by the GM Andrew and his lovely wife Sarah in the Tai over water restaurant which is the Japanese Restaurant, so if you love fresh fish and Sushi you will love this restaurant. The Chef knew in advance that I do not eat fish and seafood (I know it’s so sad when I live in the Maldives) and he prepared chicken and beef and plenty of tempura vegetables and it really was a delicious meal. The evening was relaxing, fun and a great experience and it was a pleasure to have spent it with such a wonderful couple. Our transfer the next morning was 11am, so still time for that early morning sunrise dip in the pool and one final snorkel before breakfast. Overall our experience on Maalifushi by Como was amazing! There are so many stunning resorts in the Maldives offering great facilities and service but one thing that Maalifushi has which many don’t is its fantastic almost untouched location. Not only is it a stunning island, beautiful luxury villas, friendly service and delicious cuisine but it has a fantastic house reef, some stunning uninhabited islands close by as well as more untouched reefs only a short distance away and 99% chance of seeing dolphins daily, what more do you want! Welcome to Paradise! Thank you Andrew, Sarah and the amazing team of Maalifushi by Como for a magical stay! Can’t wait to return! 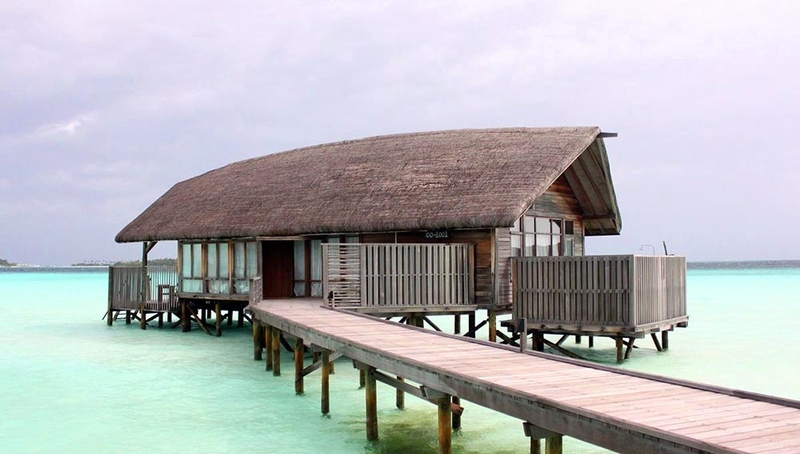 Drift Thelu Veliga Retreat describe on their website ‘Seclusion, tranquility and escape come together for an authentic Maldivian experience that blends rustic appeal with understated comfort and charm’. How right they got it! It was an absolutely pleasure to experience this beautiful little Gem in South Ari Atoll. This is what coming to the Maldives is all about. Who needs TV’s and fancy gadgets in your villa, the Maldives is about relaxing and recharging your batteries. The Villas are simple but charming. I love all the natural interiors, lamps made from wood and artwork made from coconuts. The bed was comfortable and there was plenty of storage space for your clothes, not that you need to bring too many to this real ‘no news, no shoes’ resort. Complimentary Tea and Coffee and water are provided in the Villas a long with flip flops. Dressing gowns and a beach bag are also provided for your use. The Mini bar is stocked with beer and soft drinks and prices are not over the top at all. Our Beach Villa was directly on the beach, however with bushes in between villa’s and in front, giving you some privacy. There is a built in day-bed outside which is a nice place to lounge and read a book. Two sunbeds and sun umbrella are positioned in front of each villa. 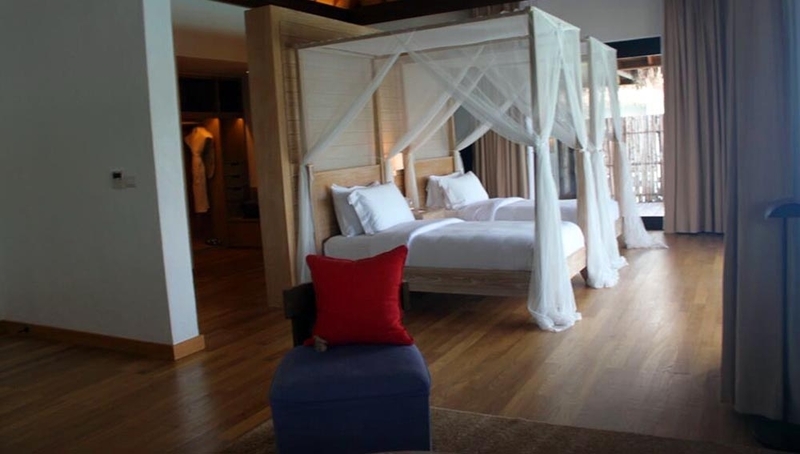 The Water Villas have similar interiors as the Beach Bungalows but with larger bathrooms that feature a bath tub. The overall feel of the island is very rustic and Maldivian. Drift wood day beds have been created and placed on the beach with sun umbrellas. Couples daybed are also on the beach and they feature drop down blinds if you want a little bit of shade. The bar is sand floor and open air, with comfy large seats as well as daybeds in and outside on the decking. The service is excellent and the prices are reasonable. The restaurant has in-door and out-door seating. The service is excellent, with really friendly waiters who are very welcoming. Breakfast is a combination of buffet as well as al a cart. Dinner is buffet and the food is exception. The presentation, variety and taste of the food is wonderful and one thing that many other guests comment on. The resort has a resident Marine Biologist who is currently working on a coral regrowth project as sadly a lot of the coral in the shallow waters is dead, however you can still see a wide variety of colourful fish and there are some colourful corals to the left of the main jetty. The resort is perfect for couples, singles and perhaps families that are looking for peace and tranquility and a real rustic Maldivian charm. ‘No news, no shoes’ with fantastic hospitality and great food. If you want all the latest gadgets, entertainment, and can’t live without a TV then the resort is not for you. Overall Drift Thelu Veliga Retreat has got to be one of my favorite new resorts to the Maldives. It’s such a change from five star luxury and I don’t doubt will be one of our most popular resorts we feature. With only 30 Villas I recommend booking early as soon as reviews start to get out this resort is sure to get booked up quickly. Thank you to all the team at Drift Thelu Veliga Retreat for a wonderful birthday experience and I can’t wait to revisit. 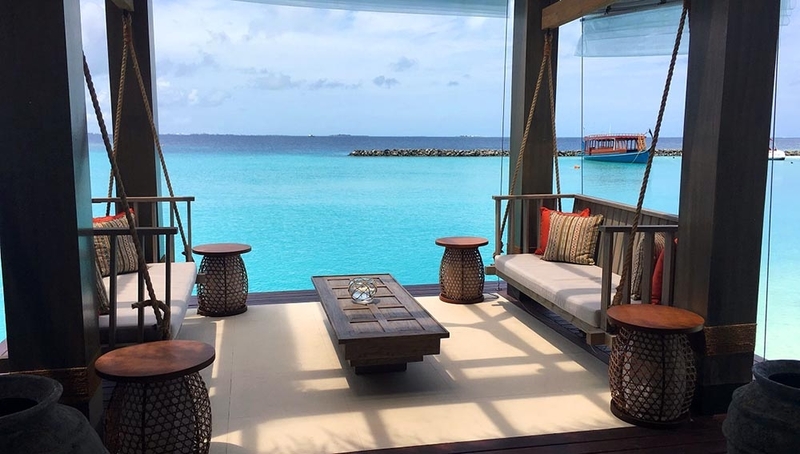 The name may not be as well known worldwide like other luxury brands but Ayada Maldives can compete with the best of them, Four Seasons, Jumeirah, Conrad and Taj. Whilst the journey is around 2 hours from Male (1 hour domestic flight and 1 hour boat journey) it is well worth it when you step onto this stunning resort. There is a closer domestic airport currently under development and once this opens then the journey would be 1 hour domestic flight and 15 minute boat journey. The Maldivian welcome on the arrival (local Bodu Beru Band) is a lovely first impression. The island is stunning, with dense vegetation, winding paths covered by Palm Trees and spectacular views of the Indian Ocean. The Villas are spacious, and luxurious furnished and decorated with a Turkish/Moroccan feel. Plenty of vegetation around the villas allows for privacy. The bathrooms feature indoor and outdoor showers, a large bath tube and his and her vanity units. The bathrooms come complete with good quality bathroom amenities. 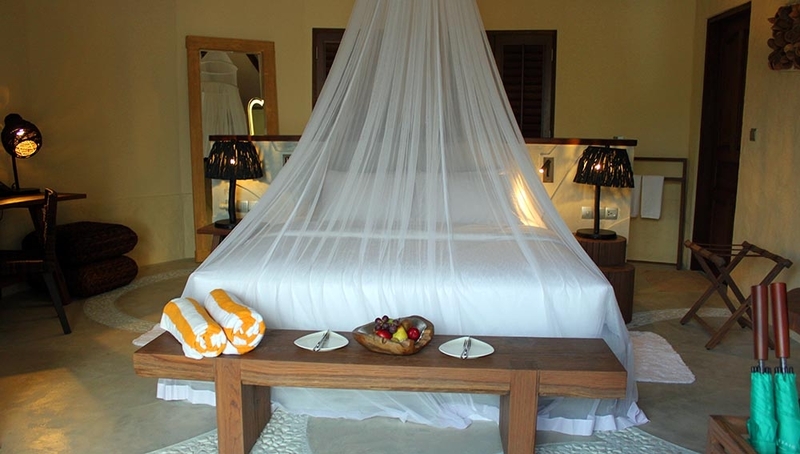 With the exception of the Garden Villas, all Villa categories come complete with plunge pool and oversize day bed. Interconnecting Beach Villas are available for families. The Ocean Villas exude the same quality of luxury, with spectacular views of the never ending ocean and direct access the warm waters and easy access to the house reef. The main restaurant Magu offers in door and out door seating and serves buffet style meals. The Tappenyaki restaurant was a great experience. The food was plentiful, delicious and the Chef was very entertaining. Dinning under the stars, with ice around your feet to cool you down from the heat from the flames as the Chef serves you up a delicious 8 course meal. The Kai restaurant serves up an Asian journey experience and is set amongst the tropical vegetation. I was fortunate enough to be invited to visit Outrigger Konotta Resort Maldives and was very impressed with this fabulous boutique resort. I was greeted at the airport by the Maldivan Airline’s team, who are the ground handlers to Outrigger Konotta. The Maldivian Airlines lounge is very comfortable. Plenty of seating, air-conditioned, free WiFi and a good selection of beverages as well as hot and cold snacks. The weather was bad, so there was a slight delay of 30 minutes with the flight but this didn’t matter as the lounge was comfortable enough to wait in. The flight from Male to Kadhadhoo took around 50 minutes and was comfortable. On arrival at the airport, the weather was not good. We were met by the Outrigger Konotta airport rep and he collected all the luggage for the clients and this was taken by truck to the jetty. He arranged umbrellas and we took the short walk down to the jetty. Our luxury speedboat was waiting for us and it was easily the most impressive boat out of all the boats waiting from various resorts. The journey which took around 30 minutes, was a little rough, but the Captain and the crew made sure we were well taken care of and made as comfortable as possible. During the course of the journey we completed the registration cards and were handed our room keys and a map of the resort and some basic resort information was given to us. On arrival at the resort, the view of the beautiful beach and lagoon soon picked up everyone’s spirits and made the journey well worthwhile! The island is fairly small, with thick lush vegetation. There’s plenty of vegetation near the villa’s, allowing for privacy. I stayed in a Beach Villa with Pool which is the lowest room category. WOW! From the outside they look like small houses, as they are two stories. All individual detached villas. On entering the villa you have a small entrance hall, which leads to a very large, open plan living room with an oversized ‘L’ shaped sofa, large coffee table, TV , desk and chair and mini bar area. The lounge area is spacious and doesn’t feel part of the bedroom at all. Whilst it’s open plan, you do feel like you are in a separate room. Steps lead down to the bedroom, which comprises of a King Size Bed with side tables and large TV. Large full-length windows allow plenty of light in the rooms. A dressing area with plenty of wardrobe and draw space is located just off the bedroom and outside the bathroom. The bathroom is very spacious, with his and her vanity units, a dressing table and large bath tub as well as an indoor rain shower. An outdoor staircase leads off the bathroom and up to a private upstairs terrace, which boasts an oversized day bed, sun loungers, and an outdoor shower. There are stunning views and plenty of privacy making it ideal for relaxing, reading and working on your tan. Leading from the bedroom you have a stunning ‘L’ shaped private plunge pool, complete with a waterfall feature and oversized day bed. The private terrace offers an area for outdoor dining. The Over Pool Vila’s are similar in design as the Beach Villa in terms of the interiors, with the large living area as well as the bathroom. Whilst there is no upstairs gazebo, the private sun deck is large with private plunge pool, oversized day bed, over-water hammock and steps leading directly into the ocean. The resort boasts one all day dining restaurant, Blue Salt which offers a variety of ala carte dishes from around the world. Breakfast is cooked to order, however, a choice of pastries and fruits are served to you at your table, nicely displayed in a bird cage! In-door and out-door seating is available and the kitchen is the open plan so you can see the chef cooking your food to order. The infinity pool boasts views of the sea and has several oversized double day beds and private gazebo’s dotted around the outside. There’s a good selection of international cuisine also available at the pool bar. On my first night, I dined in the resort’s signature teppan-raw bar, Nala Rah, which was fantastic. I am not a seafood or fish lover so I opted for steak. The Chef was wonderful, entertaining, charming and the food was absolutely delicious. You can opt to have a drink in the bar area and just look out at the crashing waves. The restaurant is a completely wooden structure with wooden shutters and really reminds me of a luxury beach Shack. The views are amazing and the atmosphere is really relaxed. On the ground level, there’s plenty tables and chairs as well as large day beds and a small entertainment area, with pool table and table tennis. The Spa is quite unique with a large hydro pool which guests can enjoy free of charge. The views out at the ocean really enhance the experience. The water sports and dive center are operated by Best Dives and the array of water sports activities and excursions are excellent. There is something for everyone. Sadly the weather really was not in my favour during my short stay so I did not get to snorkel but I spoke to the dive Manager who happily informed me that the reef is brilliant on the resort, with plenty of colour fish, resident sharks as well as colourful corals as well. Nearby there’s a reef which is home to around 6 or 7 turtles. The service on the island is excellent. The staff was friendly, professional, attentive, without being intrusive. Outrigger Konotta is, without doubt, a fantastic addition to the Maldives and to the Koamas Luxury Escapes collection and is perfect for families as well as couples. I have no hesitation in offering this resort to our clients and I would like to take this opportunity to thank all the team and the Management for a fantastic time. For great service, and an overall amazing experience. This is a stunning little gem of the Indian Ocean. I loved everything about this perfect little resort. Every honeymoon couples dream! The island has a very rustic, Maldivian charm about it. The GM, Bruce was extremely friendly and welcoming as were all his team. All the rooms are over water (although at low tied some of them appear on land, but that’s just the nature of the ocean). The Dhoni Suites are very unique and I think a standout feature for the resort as no other resort in the Maldives has rooms like these. Unlike most designs that are made to look like a Dhoni (traditional sailing boat), these actually are Dhoni’s with a room built on them. Yes, it means there is no room for a plunge pool or large decking but with the warm ocean steps away, you don’t need it and they really are so different. I was lucky enough to stay in the Como Residence which was amazing. A large living, dining area, with two en-suite large bedrooms. Private decking and spectacular views. These rooms are perfect for families travelling together. 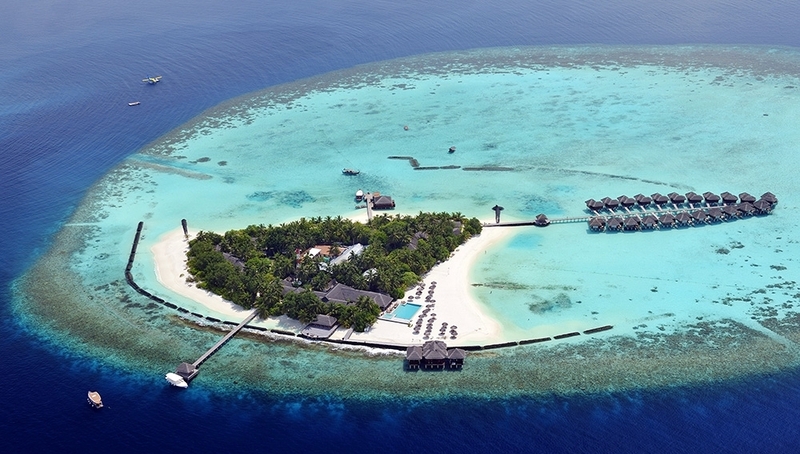 The resort is only small with 33 villas, one bar, one restaurant, Spa, water Sports, pool and stunning sandbank. The food was delicious. One the first night there was a themed seafood buffet which was an additional 55USD per person (on top of the HB rate) but for seafood lovers this is nothing, as the choice of seafood on offer was amazing. Meals tend to be al a carte but several nights a week they have different themed buffets which are optional. Breakfast was a mixture of a buffet (for cold items) and then the hot dishes were cooked to order. The Spa is beautiful with an indoor hydro pool which is free of charge to all guests. Sadly the weather was not on our side and we had extreme weather conditions so were unable to experience the lagoon and reef. I’m told however the reef is excellent for snorkelers. The staff was all professional, charming and friendly. Cocoa Island is everything I remember the Maldives to be (before all the new ultra-modern resorts opened) and I’m so pleased it has not lost its charm. It is perfect for couples looking for a boutique, stunning, private little island with a truly Maldivian charm about it. Thank you Bruce and all your wonderful team at Cocoa for an amazing two days. Grand Park Kodhipparu is only 25 minutes by speedboat from the airport, this makes is very convenient for guests staying only a short time in the Maldives. Male and the Industrial Island are visible in the distance but it doesnt detract from the beauty of the island. Whilst the resort is currently in the soft opening stages, pretty much everything is ready. Only a few small things were missing. To be honest Ive seen resorts that have so much still to do but still open but with Grand Park, it was only small things such as bathrobes, coffee machines missing from the room. There was no construction taking place, but landscaping is still ongoing and like all new resorts, the vegetation needs time to grow. Give it another 6 to 8 months, it will look completely different as the vegetation will have grown up. The boutiques have yet to open and the fine dining restaurant is ready but they are waiting for some equipment. The style of the resort is a blend of rustic and bohemian. Some of the most stunning interiors I have seen. It doesnt exude luxury but a really homely comfortable feel. Hats off to the interior designer as he/she made some excellent choices. The rooms are spacious and once the vegetation grows up there will be more privacy between the beach villas. I stayed an Ocean Pool Villa which looked out towards Baros Maldives. The pool was a good size and there is even a hammock over the sea. The deck does get very hot, so you have to watch you dont burn your feet. The bar is quite relaxed, with daybeds, couches and comfortable chairs and bar stools. Modern, bohemian and rustic all mixed together. The Spa was one of my favourite places. The treatment rooms were quite unusual as the even had a swing in them. All the treatment rooms are over the water. The Edge Restaurants is very cosy. Again the use of mix and match furniture, including couches and rugs, its not like most main restaurants in resorts. Theres out door dining and for those who prefer air conditioning, there is even a small area indoors with a/c so they cater for everyone. The staff were all friendly and the service was very good for a new opening. The staff seemed experienced and very genuine. Due to low occupancy, the meals were al a carte and all very tasty. There are plenty of motorized and non-motorized water sports to choose from. I didnt go snorkelling but I could see from my decking that there were plenty of colourful fish in the lagoon beneath our villa. Overall we had a wonderful experience, even though it was only two days. Im confident this will be a popular resort and guests will have a wonderful experience. Thank you to the Management and resort team for a great experience!